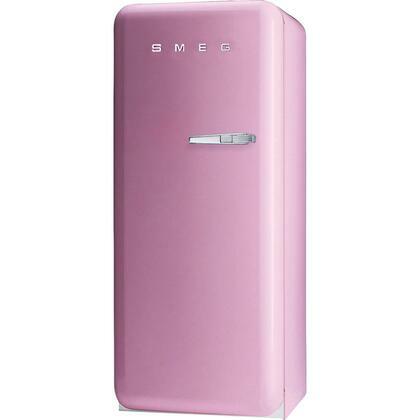 The Smeg Retro Refrigerator is available in a variety of eye popping colors. Sleek rounded edges and high gloss finish make this Italian made retro style refrigerator an attention grabber. At 9.22 cu. ft. the fridge is perfect for smaller homes or apartments but with all the interior shelving and compartments still offers plenty of space. 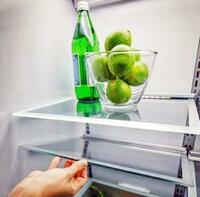 Store the fruits/vegetables in transparent easy-to-access crisper. 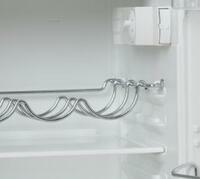 Your bottles are securely stored in the specially designed shelf. Love the Smeg. very unique and fits perfect in our cabin! It looked like one of those old style refrigerators, but it had a modern look to it which made this a great buy because I like having old style appliances with a modern touch to it. Dream web site. Friendly AND professional. They seemed to keep a log on the voyage of my little fridge! Cons: Can't get it locally. 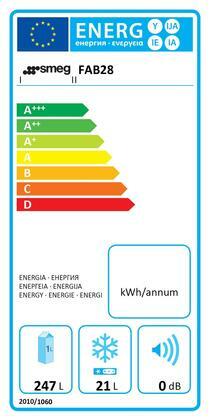 Excellent product...easy to order...arrived in good condition...set up by very capable handlers. 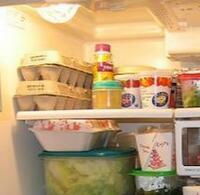 I admit that my old refrigerator wasn't all that bad. My wife was saying that I was looking for any excuse to buy a new Smeg fridge. Now that we have the new one, though, even she'll admit it's a marked improvement over our previous one in every way. There really is no competing with the convenience of the Smeg refrigerator. 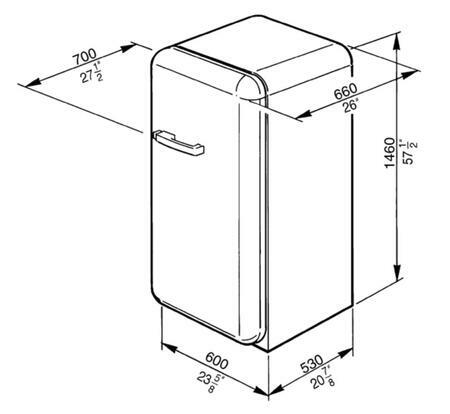 It’s got a ridiculous amount of interior storage and the Top Freezer design looks amazing. I started brewing my own beer a month ago and this Smeg refrigerator is perfect with its different climate zones. Whether storing tripels (Yeah, I know they're supposed to be room temperature. I like them a little colder. ), stouts, or pilsners, they can all be in the same fridge at their ideal temperatures. Our newly renovated kitchen looks even better with this new Smeg refrigerator. 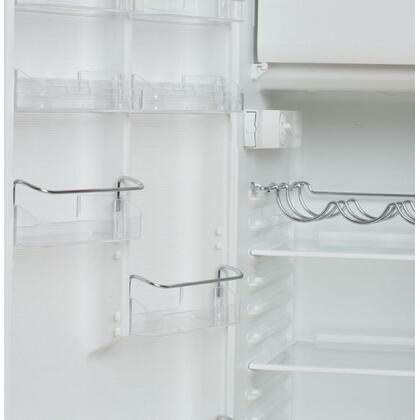 I love the Top Freezer design and my husband loves it too.